← Home Team Scrimmage 6/27 – Open to the Public! New Jax vs. Gotham on 5/12!!! Join us for a Doubleheader that will knock your socks off! 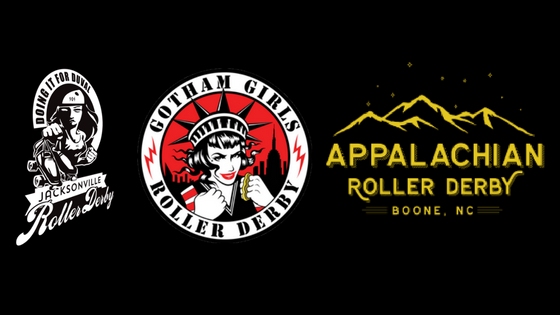 5-time Women’s Flat Track Derby Association Hydra Winners (2008, 2011, 2012, 2013, 2014) Gotham Girls Roller Derby are bringing the Big Apple to the River City! After a short intermission, Appalachian Roller Derby will be taking on River City Rat Pack for the first time! After the teams and officials have given it their all, its time to celebrate! Eat, drink, and be merry at Graffiti Junktion, and let loose after an evening of fierce competition. JRD will receive a portion of proceeds from sales this evening (10pm to 2am). It’s a Win-Win-Win! Conveniently located a mere 0.3 miles from Skate Station Mandarin (turn left onto San Jose Blvd, make a quick right turn, and you have arrived! ), you don’t have to travel far to hang with your favorite athletes!